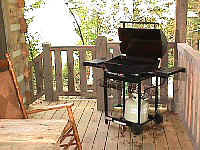 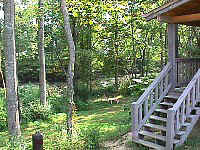 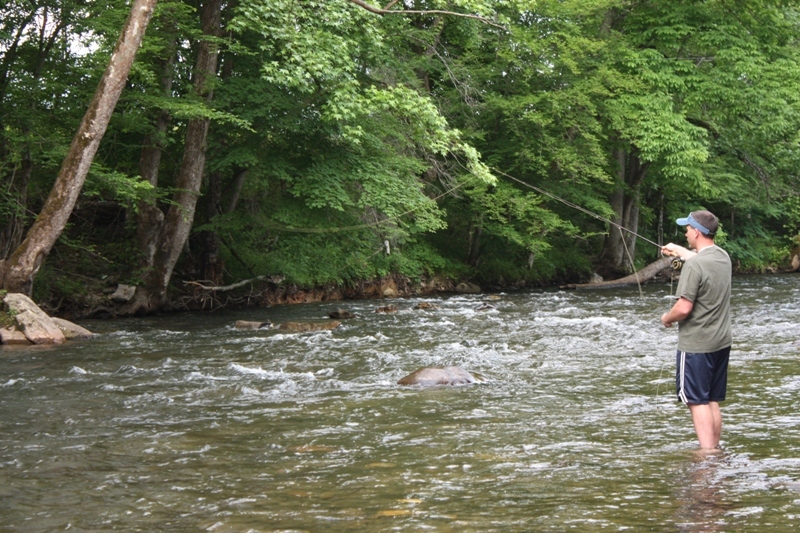 The Homestead is a cabin in a lush environment near the beautiful Little River. 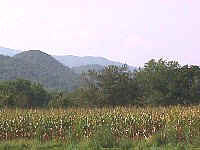 The front porch offers a beautiful view of the valley (flatlands) with The Smoky Mountains providing a beautiful backdrop. 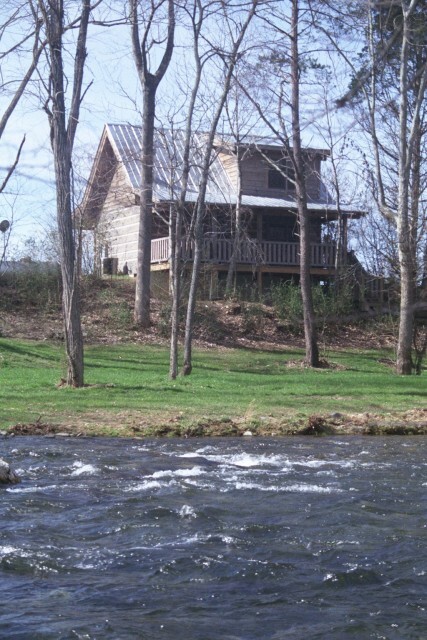 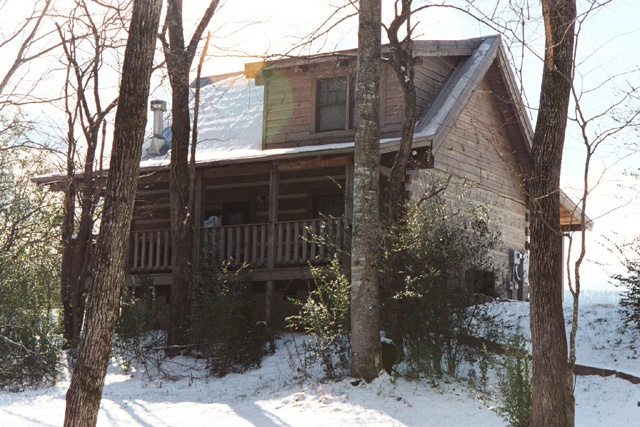 An ample-sized back porch overlooks the Little River. 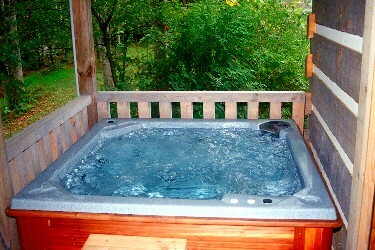 Take a dip in the 6-person hot tub and enjoy the natural setting near the river. 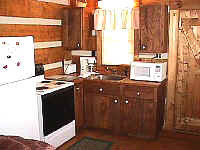 Inside, you'll find a fully equipped kitchen on the lower level with dining area. 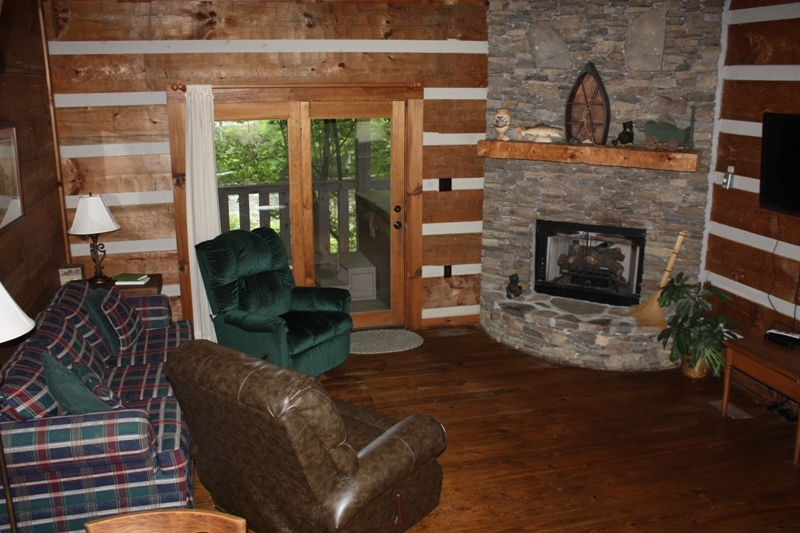 Adjoining the kitchen is the living room area with a stone fireplace, and French doors opening on to the back porch. 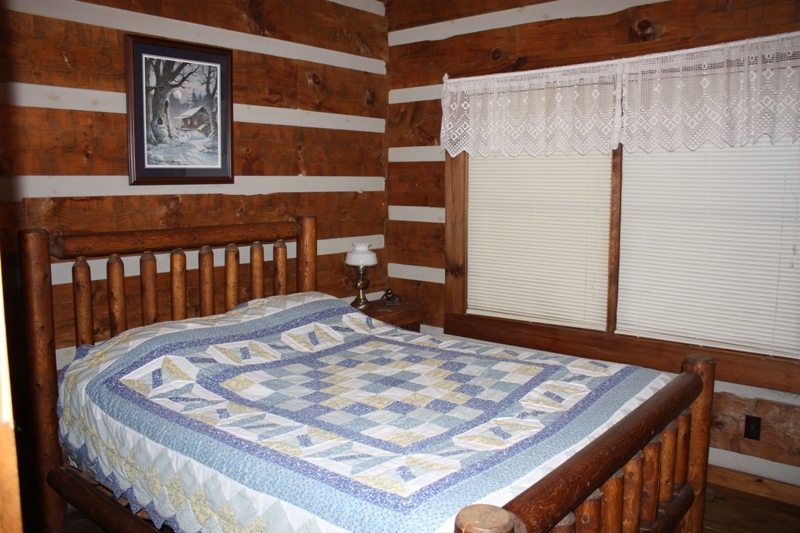 Bedrooms are located on each level with double windows to let you enjoy a river view. 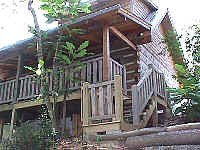 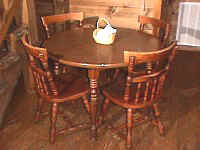 One bedroom & bath upstairs; one bedroom and one bath downstairs. 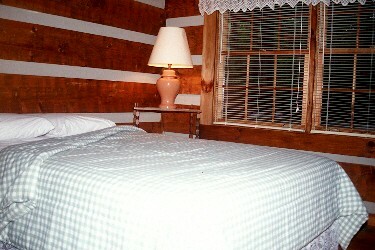 Two queen beds; queen sofa/sleeper. 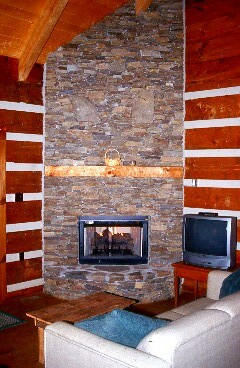 Hand-hewed logs inside and out. 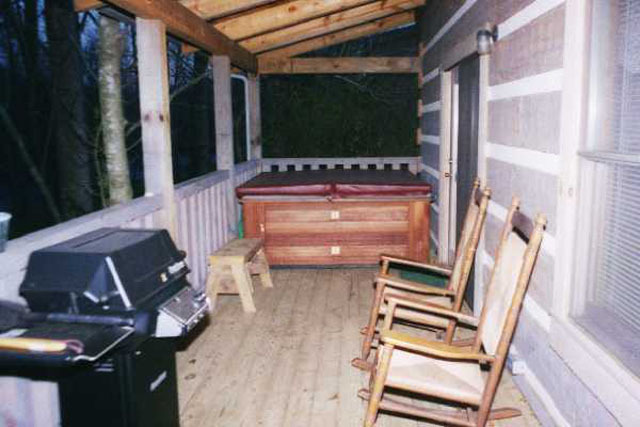 6-person hot tubs on porch.